Garden Design: A planting border idea. A structured perennial garden in NY in early May. A reclaimed brick has been used to create an edging. 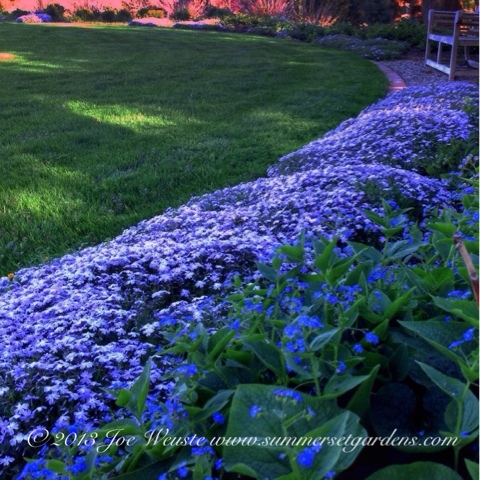 Phlox subulata and Brunnera are in full bloom soon to be repaced with Campanula, Daylily and Hydrangea. Landscape Design and Construction Services in the NY and NJ areas.